I will discuss two applications of mathematical methods to natural language understanding. I will review some of the recent work on applying topological data analysis to text. This includes recent results obtained with my students showing the predictive value of topological persistence for classification. On the task of classification of film genres, we are using two models: one where the persistence is used as the only feature, after careful data preprocessing; and the other, where it is added as one of the informative features with minimal preprocessing of the documents. In both cases, we obtain significantly higher accuracy than prior art results (including deep learning models). I'll also discuss some limitations of this work. The second topic explores the use of sheaves in modeling contradictory information in text documents. Namely, we create an abstract model of contradictory medical guidelines. I'll discuss the computational problems raised by such texts, and some preliminary methods for addressing them. This is a review of joint work with my students, P.Doshi, S.Gholizadeh, H.Hematialam and K.Savle, as well as with Dr. L.Garbayo from Univ. of Central Florida. Wlodek Zadrozny joined the faculty of the University of North Carolina in Charlotte in 2013, after a 27 year career at IBM T.J. Watson Research Center. Dr. Zadrozny’s research focuses on natural language understanding and its applications in business. From 2008 to 2013, he was responsible for textual resources in the Watson project, the Jeopardy! playing machine. He was also the technical leader in building the first application of Watson (for customer care). As a scientist at IBM Research, he led and contributed to a wide range of projects. They included a semantic search application for sales professionals, natural language dialogue systems applied in banking and web sales, and a value net analysis of intangible assets. Dr. Zadrozny published over fifty refereed papers on various aspects of text processing; he is an author of over thirty patents granted and about twenty patents pending. 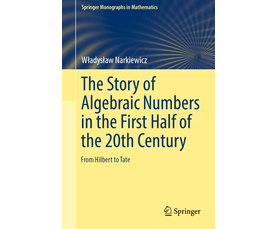 Wlodek Zadrozny received a PhD in Mathematics (with distinction) from Polish Academy of Science.